Wawa Minor Hockey Association President Peter Moore drew the winning ticket this afteroon. Congratulations Eric and Jenny Leonard! 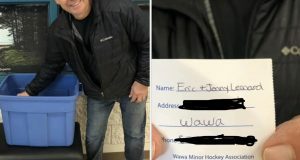 Winner of the WMHA $5000 draw! Feb 8, 2019 @ 07:01 At 3:25 OPP reopened the highway. Feb 7, 2019 @ 20:35 Hwy 17 is closed from White River to Terrace Bay due to poor weather conditions. 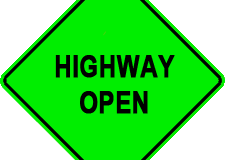 Feb 8, 2019 @ 06:58 At 5:05 this morning the highway was reopened. Feb 7, 2019 @ 19:31 Hwy 17 is closed from Batchawana to Wawa due to poor weather conditions. 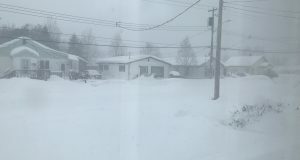 Feb 4, 2019 @ 16:37 MMCC has been closed as of 5 p.m. Advance Skate Feb 4, 2019 @ 15:19 Band Offices at Michipicoten First Nation NCU Branch Annual General Meeting Ancestry Workshop at Senior’s Club Men’s Curling (rescheduled to Wednesday night) Walking Program at MHS Wawa-news would advise against any travel at this time. At 2:16 a.m. OPP tweeted that Hwy 17 From Wawa to Batchawana is now open. The Alzheimer Society and the Wawa Family Health Team is holding a Memory Cafe; an evening of fun, snacks, and musical entertainment for people with memory issues and their care partners. The Memory Cafe is January 9th from 6:30 to 8:30 p.m. at the Wawa Goose Senior’s Club (63B Broadway Avenue.). Admission is by donation.